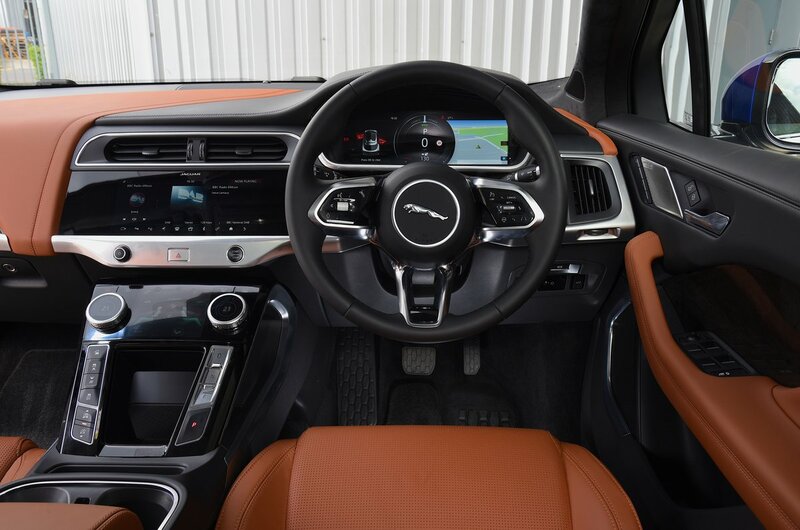 Jaguar I-Pace Interior, Sat Nav, Dashboard | What Car? You don’t sit especially high in the I-Pace by SUV standards, but even entry-level S cars have part-electric adjustment to help drivers of different sizes get comfortable, while the seats in pricier versions are fully electric and have a memory function. The standard sports seats in the front look great and offer lots of support that aids comfort over long distances. All I-Paces forgo traditional analogue instrument dials for a slick 12.3in digital display, which lets the driver decide exactly what information they want to be displayed directly in front of them, and in what configuration. You also get a partly touch-sensitive panel lower down the centre console, which replaces standard buttons and is used to control secondary systems, including the climate control. It looks flash, but the downside of touch-sensitive buttons is that they tend to be distracting to use while driving, by forcing you to take your eyes off the road to find the correct area to hit. However, the I-Pace’s screens are at least complemented by two physical dials that can change function depending on the menu selected. Forward visibility is good, but thick rear pillars and a shallow rear window restrict your view of what’s behind. It’s fortunate, then, that you get a 360deg camera and rear cross-traffic alert as standard. However, the rear camera display can be a bit laggy and it can appear that you’re approaching an obstacle much faster than you actually are. 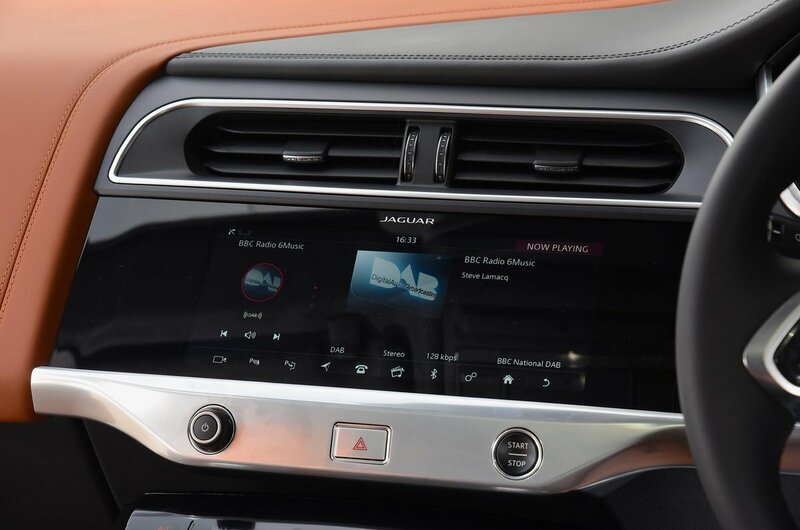 As in other modern Jaguar cars, central to the upper dashboard of the I-Pace is a large 12.3in touchscreen, through which you access the sat-nav, phone and stereo functions. It dominates the interior, but is nowhere near as big as the enormous tablet-style screen found on Tesla models. Nor is it as or as responsive. There are plenty of neat features to make use of, though. The I-Pace can use individual drivers' separate key-fobs to learn their preferences and ensure their usual climate control and infotainment settings are ready every time they get behind the wheel. 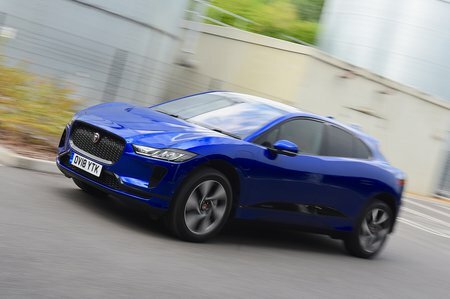 Plus, the I-Pace is the first Jaguar to offer Apple CarPlay and Android Auto smartphone mirroring. Modern Jaguar interiors haven't always used the finest materials, but the I-Pace feels relatively classy inside. Okay, the plastics aren’t going to give Audi’s quality controllers sleepless nights, but they’re a step up from those in the F-Pace, and are very impressive by the standard of the electric car class. The centre console (the spine that divides driver and front passenger) feels more solid than that of the Model S, which fails to match the I-Pace's finish in quite a few areas. The fact that the steering wheel is wrapped in soft-grain leather and the interior is dominated by the fancy graphics of the various digital displays also adds a bit of wow factor. However, while the stalks that sprout from the steering column look and feel solid, the rotary dials on the secondary touchscreen in the centre console feel a bit flimsier.